Canada's national nightmare is officially over. Canada’s national nightmare is officially over. On Friday, August 26, 2016 at 9:08 am Eastern Standard Time, Stephen Harper, Canada’s 22nd Prime Minister, addressed the nation by way of a video selfie randomly tweeted to supporters and announced his immediate resignation as a member of parliament from inside an empty, poorly-lit conference room somewhere on Parliament Hill. Unfortunately, historians will likely view Harper’s legacy with less sympathy than his loyal supporters – polling finds Harper is the least popular Prime Minister of all time for most Canadians living today. 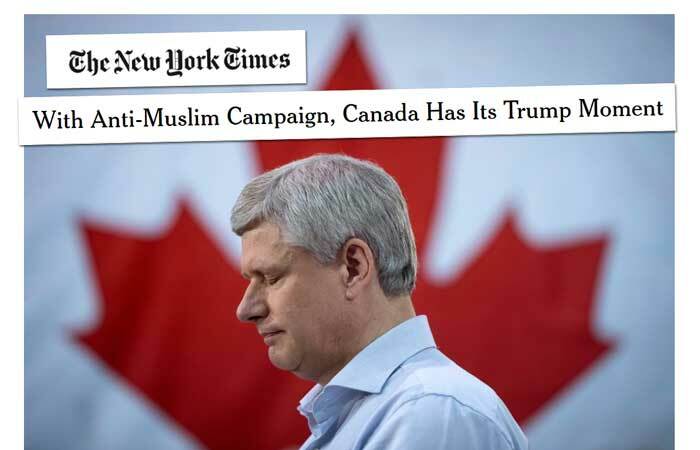 The international news magazine linked Harper’s nativist rhetoric to a spike in “hate crimes” targeting Muslims, including assaults against a woman wearing a niqab in Toronto and a pregnant woman wearing a head scarf in Montreal. 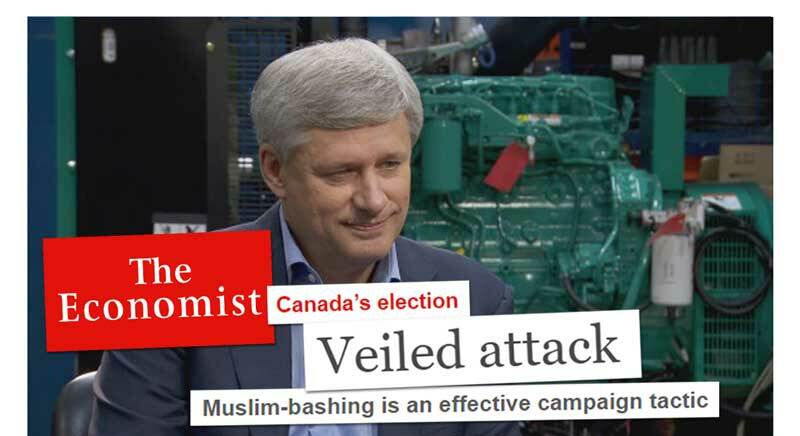 Hoping to build on their racially divisive election strategy, Harper’s Conservatives rolled out a “barbaric cultural practices hotline” for Canadians to report crimes, although this idea ended up being relentlessly mocked and ridiculed, eventually causing the MP who announced the idea, Conservative leadership hopeful Kellie Leitch, to tearfully expressed her “regret” on national television. 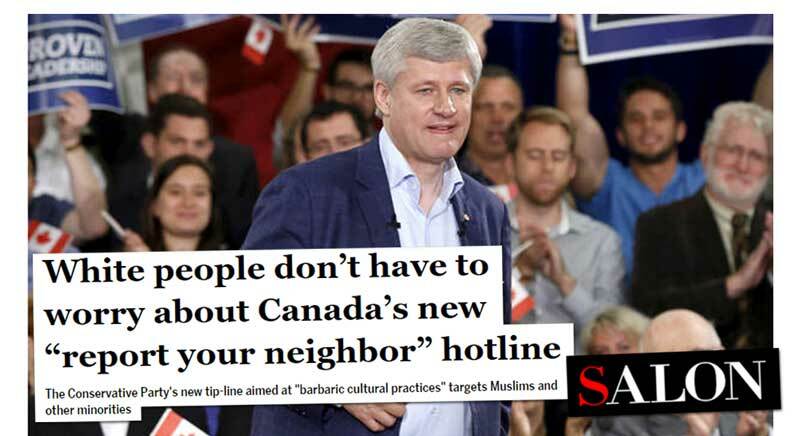 But as a headline from on the American news website Salon pointed out, “white people don’t have to worry about Canada’s new report your neighbour hotline.” True. 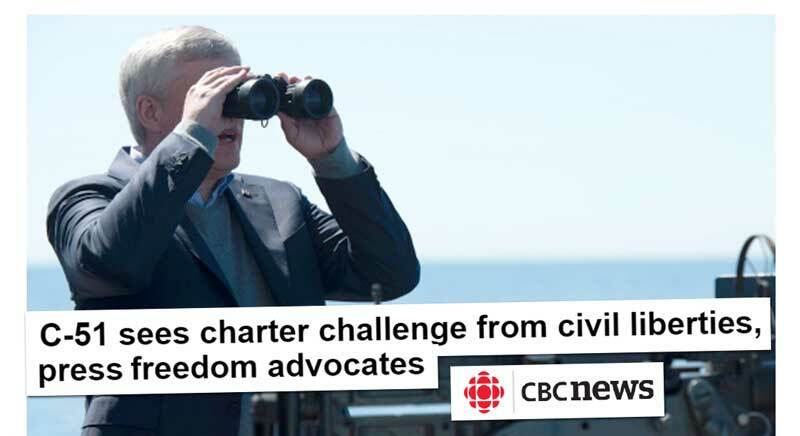 Criticized from all sides of the political spectrum, critics and legal experts loudly denounced Harper’s controversial anti-terror legislation Bill C-51 as a threat to free speech and Canada’s Charter of Rights and Freedoms, as a CBC headline noted last year. 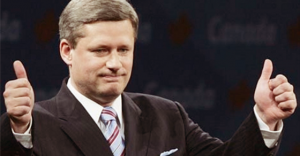 Often viewed as paranoid and overly-controlling, the Harper government gained a reputation for declaring war on any person, group or thing that challenged its agenda. In 2012, the Globe and Mail’s editorial board slammed the “campaign of intimidation” against charities, advocacy and environmental groups (many of whom complained of being targeted for selective “political activity” audits by Canada Revenue Agency). The Globe pointed out that the Harper Conservatives “demonizing” charities as foreign radicals seemed at odds with Canadian values like free speech and an open society. 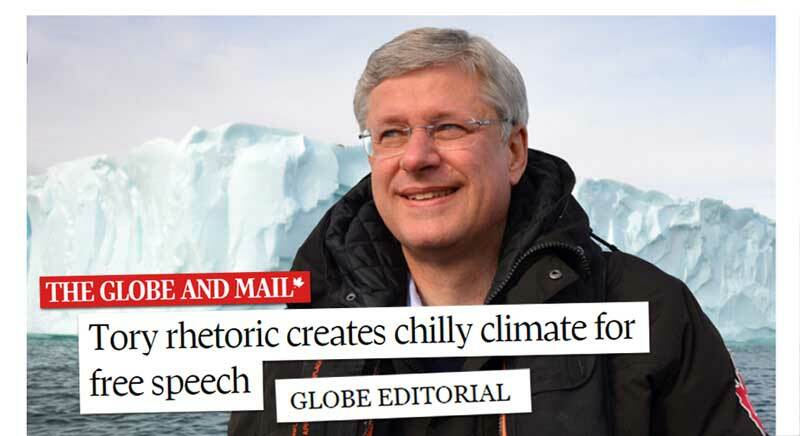 Stephen Harper subscribes to a “worldview and politics of fear” that’s more aligned with George W. Bush than what most Canadians believe in, as an article in the Guardian argued out last year. 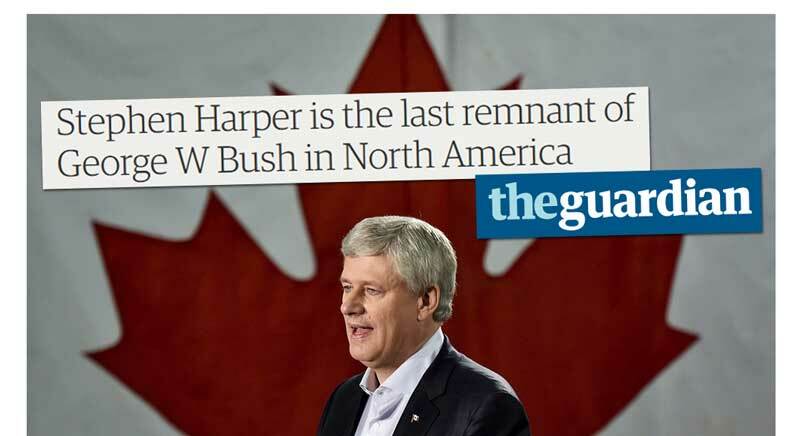 Along with counting one another as allies in their fight to do nothing about climate change, both leaders’ attempts to gut environmental regulations, a mutual contempt towards the United Nations and a shared belief in disastrous economic policies, Harper was also an enthusiastic supporter of Bush’s invasion of Iraq. 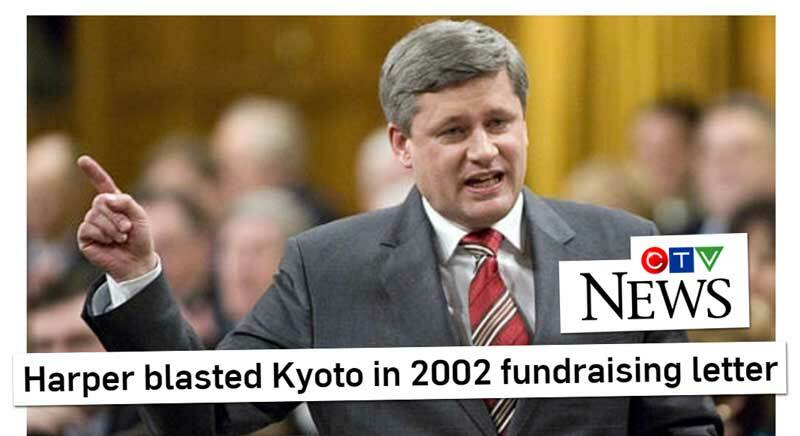 That may have not only foreshadowed Harper scrapping Kyoto, but also a decade of obstructing climate change efforts, refusing to regulate oil and gas and gutting key environmental protections in legislation covering everything from navigable waters and fisheries to environmental assessments. 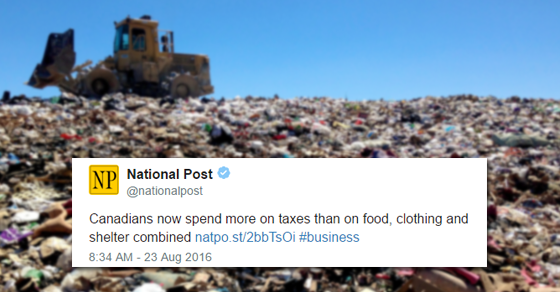 To wrap things up, maybe no one can sum up the Harper years better than Stephen Harper himself. 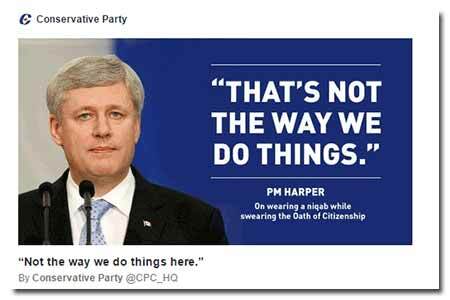 As polls showing Harper with historically high negative impressions from Canadians suggest: that’s just not the way we do things in Canada. And that’s all that needs to be said about that. 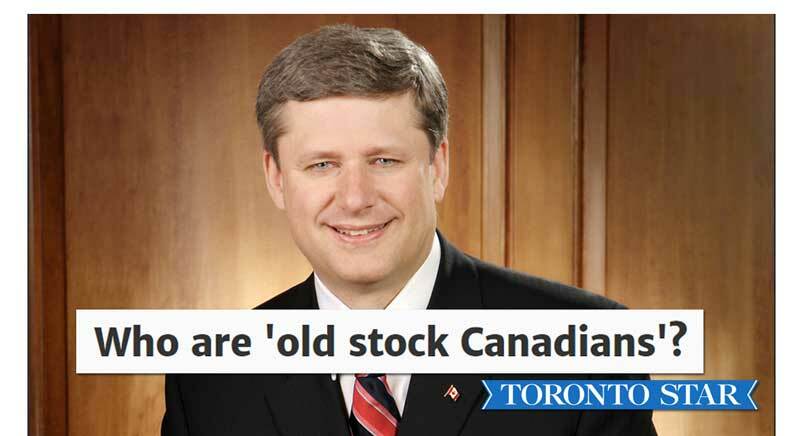 Why aren’t Canadian media outlets fact-checking the Fraser Institute? Headlines across Canada on Tuesday declared “Canadians now spend more on taxes than on food, clothing and shelter combined” after the Canadian Press reported on an annual study from the right-wing think tank, a story that ran in major outlets like CBC, Globe and Mail, Financial Post, Toronto Sun and Global News.